Malaysia is one of Asia's most popular destination that offer plenty things to do. Beside that backpacker and traveler can enjoy affordable and comfortable staycation in Malaysia. Creative design and relaxed style are the major draws at Riccarton Capsule Hotel. Located in an affluent neighborhood at Wisma Q Titiwangsa, Jalan Pahang. 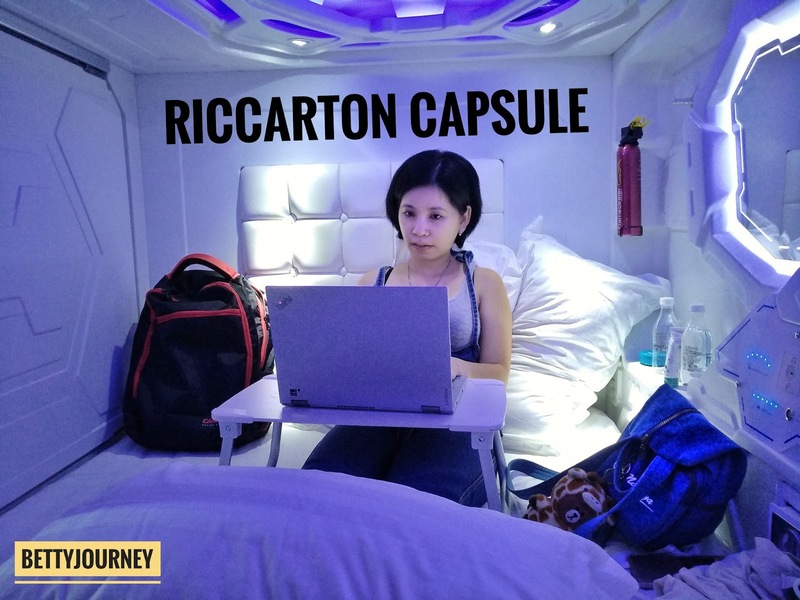 This is the futuristic hotel that we going to experience in future and Riccarton Capsule hotel is the first Capsule Hotel that bring in young, stylish and aerospace concept into Malaysia. Riccarton Capsule Hotel is inspired by a minimalistic type of hotel that developed in Japan. 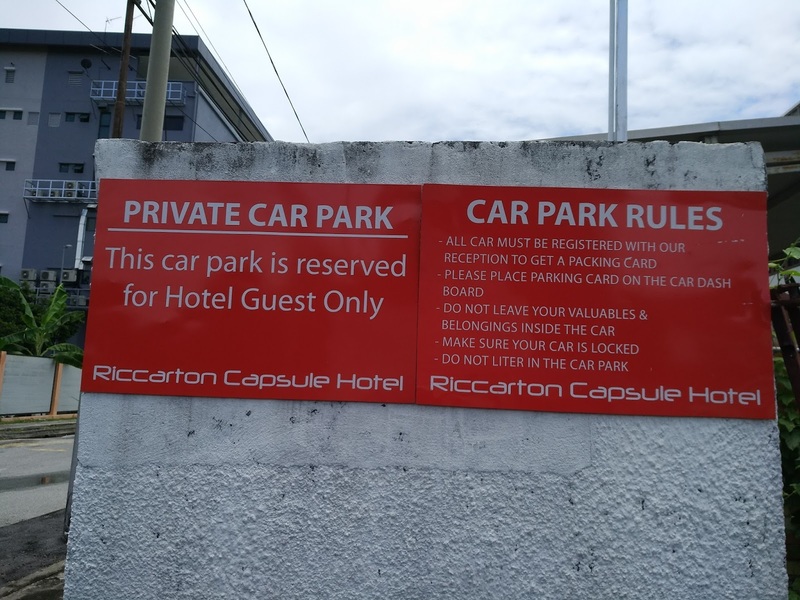 Riccarton Hotel has 108 capsule room and 20 standard 3-star rooms. Thanks to Riccarton Capsule Hotel as I got the opportunity to explore their capsule room. A warm welcome by their friendly receptionist and he gives a clear explanation regarding the staycation. The check in process is fast and efficient. Before enter the capsule hotel, we are required to wear new hotel slipper. The Hotel management maintains a clean and hygiene practice before customer enter into the capsule hotel. We will store our shoe inside the cabinet that provide near the receptionist area. No worries whether your shoe will be stolen or miss up as each cabinet will be locked using hotel room key. First floor and second floor is capsule type room. After come out from the lift, you can store your belonging into the biggest cabinet that will be locked using your hotel room card. This is my first time stay in Capsule hotel and we request a room for 2 person. The room is categories by numbering on the glass main door. The journey begin once you step in the glass door. I was astonished with the design the moment I enter the glass door. Is like entering star wars spaceship. Each capsule is feet at 4 feet wide and 8 feet long with a clean and comfy arrangement. The capsule is made with high quality fireproof material with an aerospace design. The room is equipped with a set of mattress, pillow and blanket. The room is fully air-conditioner whereby the temperature is adjustable. Do bring your own earphone or ear piece if you wish to switch on the TV. Free WIFI, make up mirror, panic button, night safe and smoke detector and other electronic amenities. For security purpose, the walkways is monitored by CCTV. To enter the room, you have to tagged on the capsule room door.